John Hugh O'Neill, “Black Blizzard blankets the National Mall,” Histories of the National Mall, accessed April 23, 2019, http://mallhistory.org/items/show/167. 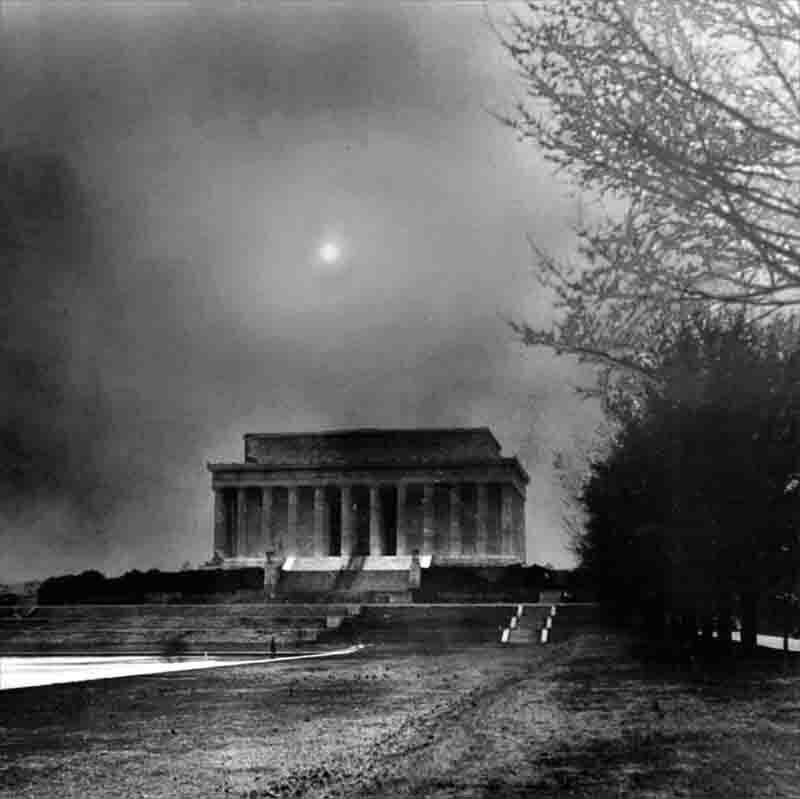 In March 1935, the sky went dark over Washington, DC as a dust storm from the midwest blanketed the city. As this offshoot of the Dust Bowl moved over the nation's capitol, Hugh Bennett, head of the Soil Erosion Service in the Department of Agriculture, was testifying before Congress about the urgent need for money and programs to combat the Dust Bowl. As he spoke the air became thick with dust. People swarmed out of government buildings and onto the Mall to watch the sky. The black blizzard brought home the need for action. One month later Congress voted permanent funding for an independent Soil Conservation Service. National Archives at College Park.